We can Provide a Beautiful Setting for the Country Wedding of Your Dreams. From receptions large and small, the Museum offers a spectacular collection of beautiful spaces to make your event one to remember. East and West buildings, the Museum grounds, amphitheater, and auditorium provide space for nearly any size occasion. Welcome to The Wedding Hall & Gardens at Landmark - the premier wedding event venue in Raleigh, Garner and Clayton, NC which is uniquely designed in the French Chateau style reminiscent of Biltmore House & The Palace of Versailles. Celebrate your love in rustic style at Iron Horse, an idyllic 16-acre privately-owned farm located in beautiful northern Orange County. The grounds offer several scenic indoor and outdoor locations for your rehearsal dinner, ceremony, reception and photographs. 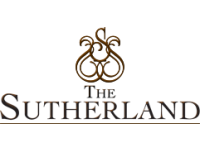 The Sutherland, a spectacular location for your special event, wedding or reception, offers beautiful gardens, suites for both bridal and groom parties, as well as numerous romantic venues to choose for your wedding or special event. The Metropolitan Room is downtown Fayetteville's Premier Event Venue. With floor to ceiling windows showcasing Fayetteville's Market house and all of downtown Historic Fayetteville. 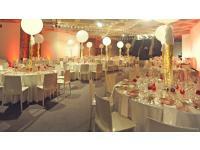 An exceptionally appointed historic venue at the edge of downtown Raleigh located in the historic Royal Bakery building.